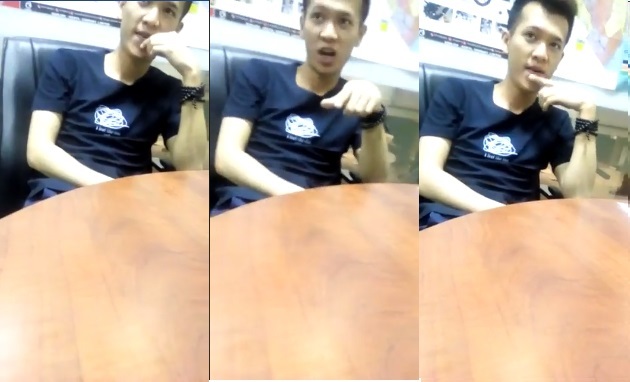 Wednesday, September 05, 2018 - A shocking video of a racist Chinese man working in Kenya referring to Kenyans as monkeys and mentioning President Uhuru specifically as a ‘Monkey’s has emerged online. From the video, the Chinese national went on to say that he doesn’t like Kenya because Kenyans are poor, broke and foolish. “I don’t like it here with the monkey people. I don’t like smells bad, are poor, foolish and black,” the racist Chinese man said. This idiot is a motorbike dealer and the guy talking to him is one of his employees who he wanted to fire for unknown reasons. Recently, Kenyans working at the Standard Gauge Railway accused their Chinese bosses of mistreating and harassing them but the Government dismissed them. This shows how the Chinese folks living and working in Kenya treat Kenyans with contempt as our leaders flock to China with begging bowls.